The partitions used throughout this project were cleverly designed to tie in with the decor of the office and the client's brand. 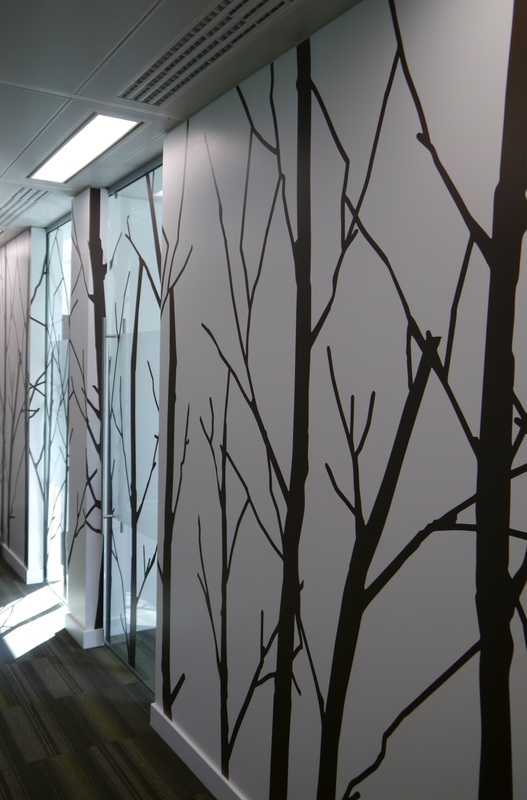 One set of partitions featured a tree pattern to match the wallpaper used on the facing wall, which created a shadow effect. Other sets of partitions featured standard dots alongside the client's logo to subtly tie in with their brand. 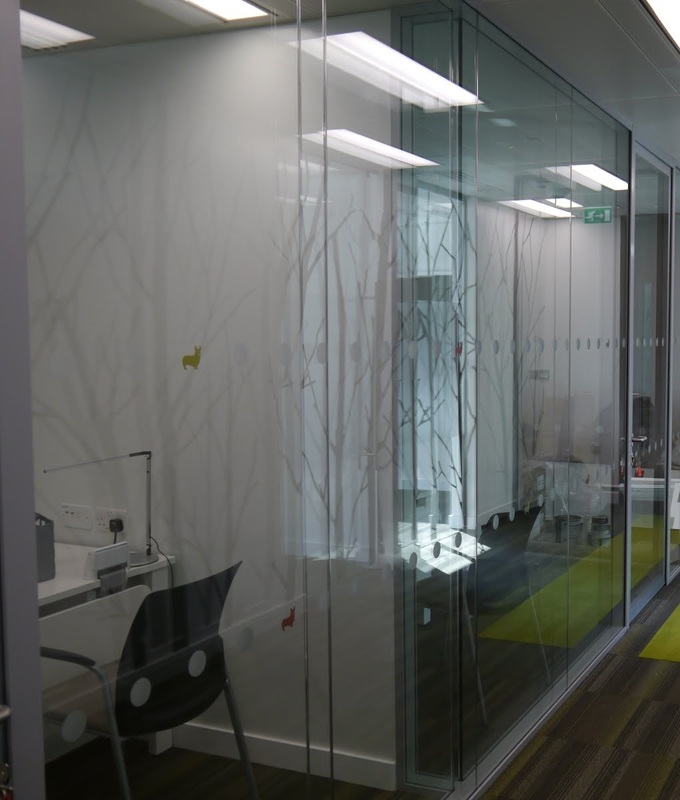 Our team would be happy to help you create the perfect partitions for your next project, give us a call and tell us all about it: 01444 230807 or drop us an email to sales@lizzanno.com.